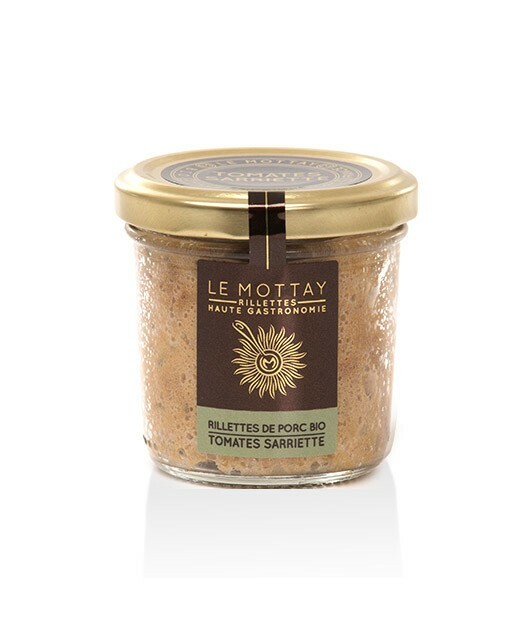 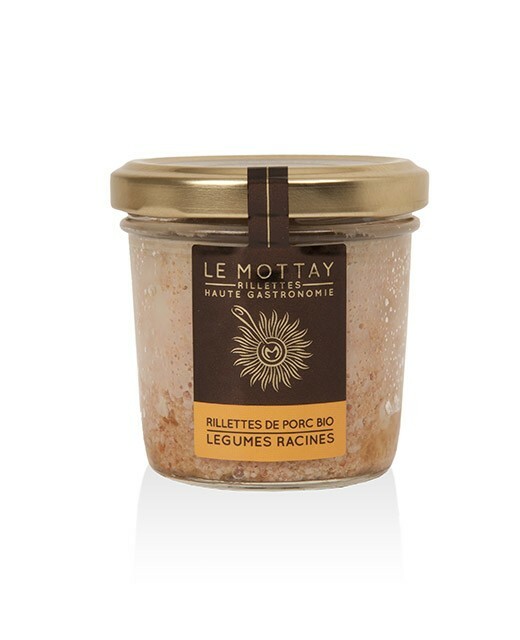 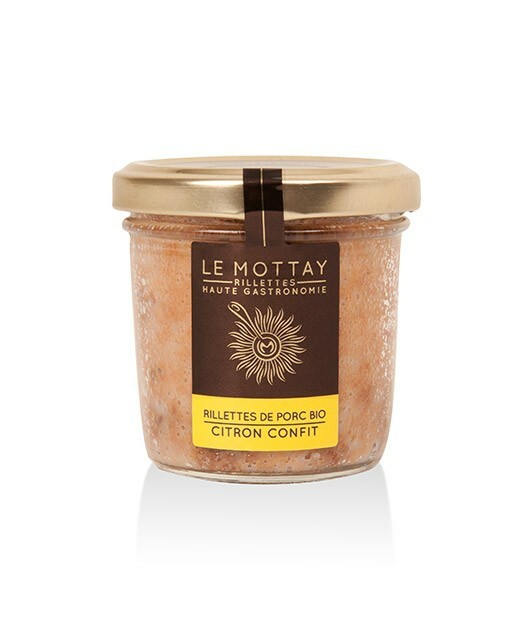 People fond of pronounced flavors and of spices will be delighted with these organic pork rillettes with green pepper made by Le Mottay Gourmand . 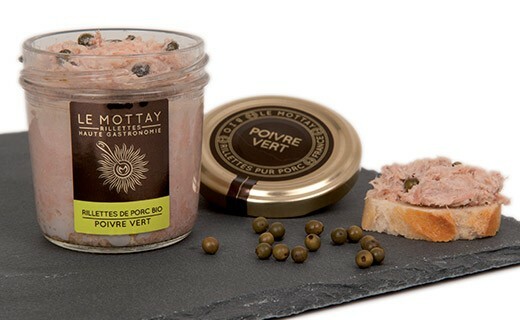 The pepper subtly highlights the quality organic meat, coming from pork raised outside or on hay, an fed almost exclusively with farm products. 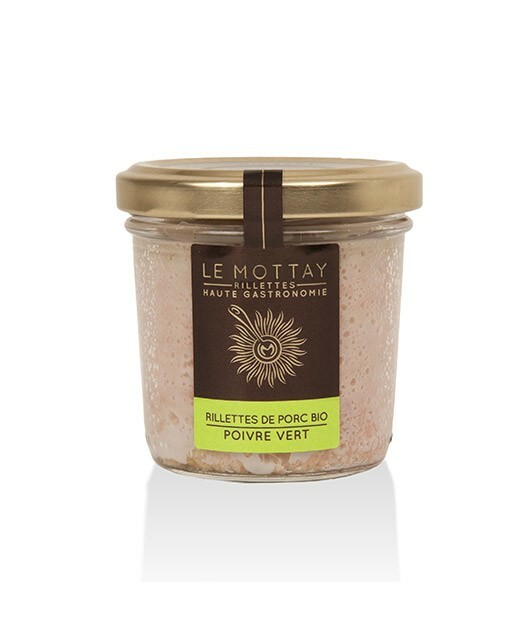 Pork meat* (shoulder, picnic ham, fat) 97%, green pepper* 3%, Guérande salt*, white pepper*. 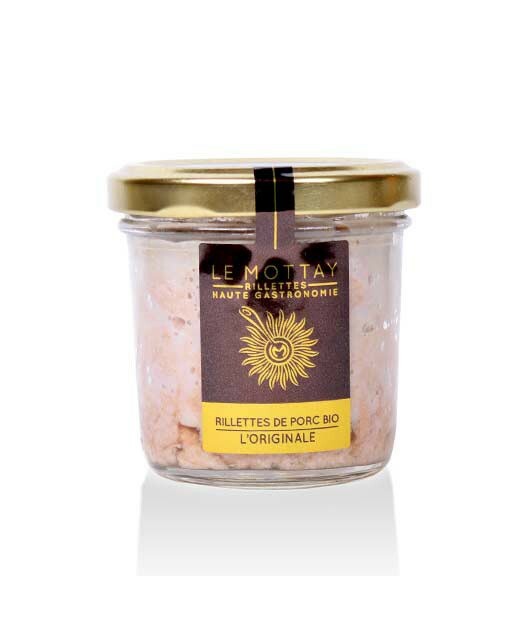 * ingredients coming from organic farming.